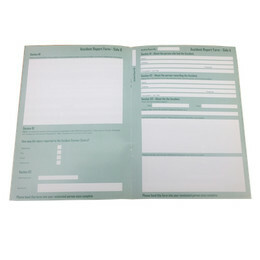 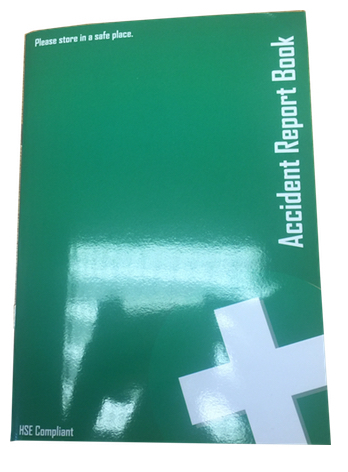 HSE Compliant Accident Report book in A5 Size. 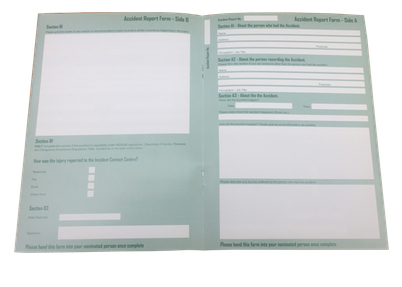 Two page reporting for all details of reporting including Name, Address and Occupation of the person whos had an accident, Name, Address and Occupation of the person reporting the accident. 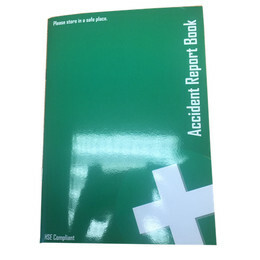 Full reporting area about the accident, and an area for reccomendations on how to avoid a similar accident in the future.